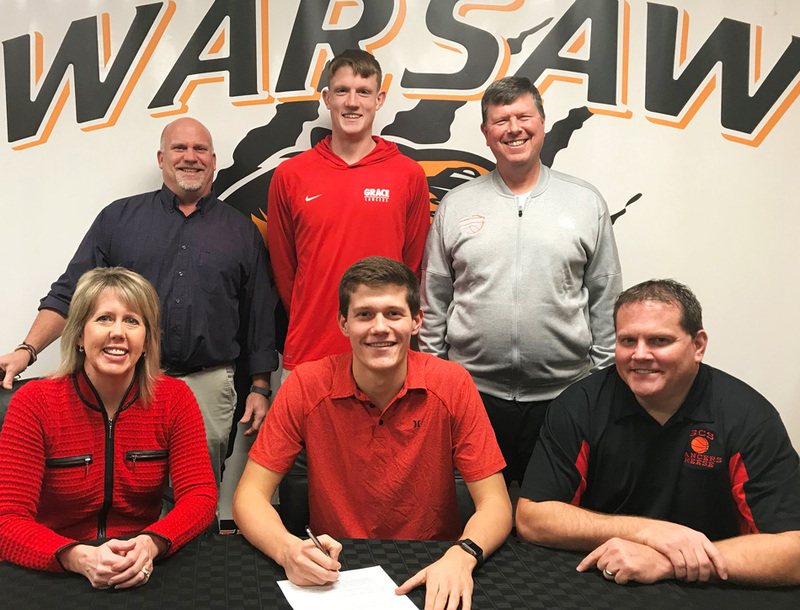 WARSAW – Warsaw Community High School’s Jaylen Reese has sunk his share of big buckets for the Tigers, and the senior announced and signed his intent to continue his education and basketball play at Grace College next school year. Reese is a two-year starter and key figure for coach Doug Ogle’s Tigers as the squad seeks its fifth-consecutive Northern Lakes Conference crown down the stretch this season. Reese is averaging five points and three rebounds per night for the Tigers. While Reese has been a leader for the Tigers on the basketball court, serving as team captain in his four years with the team, the senior sharpshooter has been scoring in the community and classrooms as well. A scholar-athlete award winner, Reese has compiled a 10.75 GPA (12-point scale) through seven semesters. Reese is a member of Fellowship of Christian Athletes, National Honor Society, Octagon Club, and helps with intramural basketball. In the community, Reese has served with Camp With An Impact as a counselor, Feed My Starving Children, Grace College and Tiger Basketball Camp counseling, Boys and Girls Club, and he has served with a local car show. Reese plans on majoring in biology and pre-med at Grace. Grace College, a member of the NAIA, NCCAA and the Crossroads League, are 12-14 this season under Hall of Fame coach Jim Kessler.